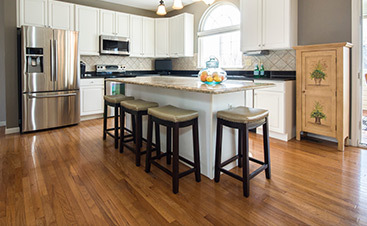 Hardwood floors are an excellent choice to add timeless beauty to any home. Although they are durable and can withstand a lot of abuse, they are still subject to damage. When a hardwood floor is damaged, the best course of action is to repair it so it can return to its original look and function. 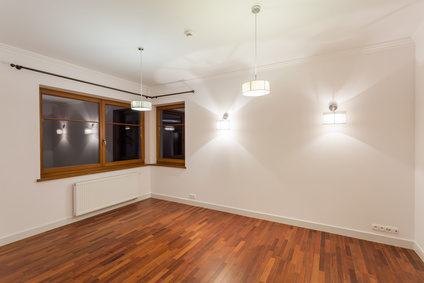 Here are six reasons for hardwood floors repair. Floor buckling occurs when the wood floor begins to separate from the subfloor. When a floor buckles, it usually cups and swells. Buckling of hardwood floors is typically caused by excessive exposure to moisture. Some common reasons for moisture build-up include having a wet slab, poor grade conditions, or pipe leakage. Although excessive moisture is always the underlying cause of buckling, other factors such as improper installation can play a role as well. Hardwood floor buckling can be repaired by thoroughly air-drying the affected areas. If the buckling is not alleviated, it might be necessary to call in a professional to repair or replace the areas of the floor that are damaged. If the floor has separated from the subfloor, a professional re-installation of the wood floor is the best fix. Dents are simply crushed spots that appear on hardwood floors. They are often created by the daily wear and tear on the floor. Some simple ways they occur include dropping heavy objects, walking in high heels or from metal tips on furniture legs. 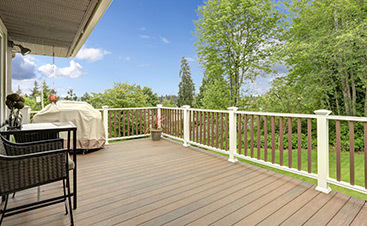 If the dents are not deep, and the wood fibers are not broken, a homeowner can repair them fairly easily. The fibers can be drawn back up by using a warm clothing iron and a damp cloth. However, if the fibers are broken, the repair is more complicated. At that point, the affected boards need to be re-sanded and refinished by a professional. When hardwood floors are flooded, it is evidenced by standing water on top of the floor. When a hardwood floor gets flooded, the excess water needs to be removed from it as soon as possible and then it must be thoroughly dried. The best way to dry out the floor is to elevate the temperature in the room, dehumidify the area and increase the airflow in the room with ceiling and floor fans. If the floor was exposed to a large amount of water over a long duration of time, it might be necessary to strip the floor of its finish to speed up the drying time. It is important to keep track of the moisture in the wood, and repairs should not begin until the moisture level is back to normal. 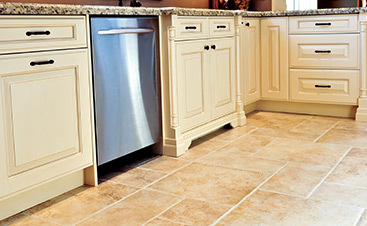 Any repairs that are made should be determined by the amount of damage that is done to the floor. It may be necessary to call a professional to assess and correct the damage. Floor unevenness is usually caused by a larger underlying issue, such as warped or loose subfloors, warped or fractured joists or settled support pillars, as well as perimeter foundation settlement, cracked or settled slab or an uneven subfloor. When the structural integrity of the home is compromised, the issue should be repaired by a qualified and licensed general contractor. Once the underlying issue is resolved, then a replacement hardwood floor can be put down evenly and properly. Hardwood floors often begin to squeak or make other odd noises as they age. There are many possible causes for these noises including movement in the floor system or subfloor system, poor nailing of the floorboards, a weak subfloor, inadequate adhesive, excessive moisture, and excessive dryness. Minor noises that are confined to just a few places can be fixed by injecting new adhesive into the problem area screwing the floor down, or strengthening the subfloor. Floors that have several noisy areas should be pulled up and re-installed by a licensed contractor. Sometimes floors can begin to splinter and protrude from the surface of the floor. There are several reasons a floor can start to splinter including unevenness caused by cupping, expansion, or subfloor irregularities, as well as damage during installation, wind shake or improper grading. Each of these issues has a different solution for fixing the problem, so it is best to contact a trained professional who has the knowledge and expertise to know which solution is the most effective. Keep your wood floors as beautiful as they day they were first laid down by taking care of them properly. If an issue does arise where your hardwood floor does need to be repaired, your best course of action is to contact a qualified professional before doing any work yourself. A trained professional has the skills and knowledge to repair your hardwood floors and bring them back to their original beauty.